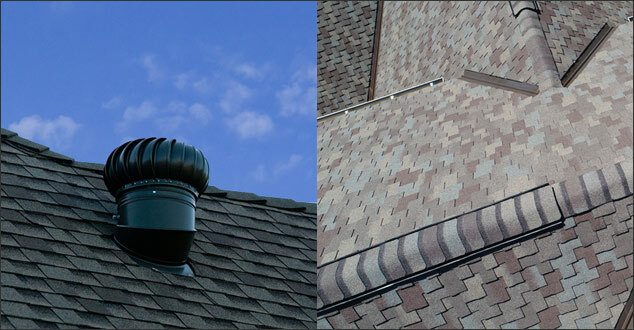 What is better for attic ventilation: turbine or ridge vents? When it comes to attic ventilation, there are some myths circulating. One of them is, if you have attic vents, you must have attic ventilation. 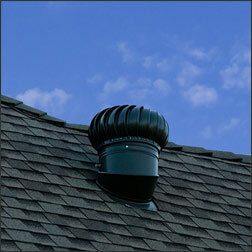 Another is that attic ventilation will let too much warm air out of your home in the winter. Neither of these is always true. In the first place, not all attic vents are created equal. The rule of thumb for needed attic ventilation is that you need 1 square foot of ventilated balanced eve vents and roof vents space for every 300 square feet of ceiling. This doesn’t mean that all space cut out for vents is creating usable ventilation in your attic. In other words, just because there’s a vent, doesn’t mean it’s doing its job properly. Turbine vents are those ice-cream cone looking vents that turn in the wind using a series of vanes – like a weather vane, allowing warm, moist air to escape at the top of your roof. They may not work as well in areas that don’t get enough wind, but they are easier to install. Only a small section of roof needs to be removed to put in the vent and then it gets sealed with flashing and sealant. 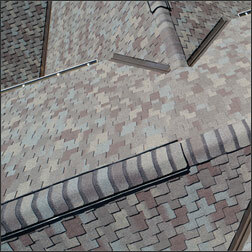 Ridge vents are located along the whole peak of your roofline and are covered with screening. This is a passive ventilation system, relying on the air pressure from inside your attic to release the warm air. 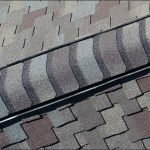 They work well in moderate climates like Michigan and are best installed if you are already replacing your roof ridge, like other vents ridge vents need eve vents to work properly. Do Vents Let Out Warm Air in Winter? The answer to this is yes. A properly installed vent does let out warm air as it is designed to do, but this doesn’t pose a problem the way you might think if you don’t understand why a house needs ventilation in the first place. Proper ventilation is for removing excess moisture and heat from your homes attic as once warm air reaches your attic it should be remove, you would like your attic temperature at as close to the outdoor temperature as possible. In fact, cool climates like Michigan experiences benefit more from this type of proper ventilation than hot climates. If you are having an issue with heat escaping your home through the top (your home is the only one with a bare roof in the winter when there’s snow), it means you have an improperly insulated attic, and could be improperly ventilated one. What attic ventilation does is prevent the heat build-up and moisture from condensing both inside and outside your attic. When warm, moist air can’t escape, it gets trapped inside on your attic, wood, drywall, you name it. Moisture will condense on the underside of your roof deck and mold will eventually grow and it could travel downward into your home if not taken care of. It also warps the wood decking of your roof and kills the lifespan. The other way it kills your roof’s lifespan? Ice dams. If your gutters are clean, you can still get ice dams because of condensation on your roof. Warm air from inside attic heats the roof, cold snow melts and then re-freezes at night on eves where there is no warm air. This causes a big back-up of ice that piles in your gutters and forms ice cycles. They can wreak havoc in your roof in a short time. Talk to a professional licensed roofing company who knows and has worked with the climate conditions of your area about your ventilation. They can recommend the best type to use if you need more. If you live in Southeast Michigan, please give us a call. We would be honored to help.